This site is the just the most current manifestation of my pursuit of the digital. The Eagle PC. I used this computer for a number of years, believe it or not. I received my first computer when I graduated from high school: an Eagle PC. I had wanted a computer well before 1987, but providing what seemed to be just an expensive toy on which I could play Zork seemed somewhat gratuitous to my frugal-minded parents in the early eighties. Also, instead of getting what I really wanted — an Apple Macintosh — I had to settle for a generic IBM clone. It had a green monitor, a huge keyboard that slide underneath the CPU, two 5.25" floppy disk drives, no network connection, and it weighed in about a quarter of a ton. I wish I had a picture. . . Isn’t the Internet wonderful: the Eagle PC is pictured right, compliments of DigiBarn Computer Museum. After a couple of years (!) with this monster, I was able to purchase — with my mom’s help — a Macintosh Classic, the machine I wanted ever since I saw one in 1984. The differences between the Eagle PC and the Macintosh were like the difference between cave paintings and movable type. The Macintosh made computing accessible. I remember first booting up the Eagle. Flicking the red power lever would produce a very machine-sounding tone, then its Victorian engine hummed and whirled while the monitor buzzed and popped with green static. It took a couple of seconds for the floppy to engage — a little red LED would signal its busy search-and-read activity. After about a minute, an “A” prompt would greet the lucky user. From there, you would either have to know what to enter, or that ended your computer-using experience. Access to the PC world seemed by invitation only. It was an exclusive club, and I didn’t have the password. By contrast, the Macintosh would turn on with a pleasing chime, and the user would be greeted with a smiling Mac while the hard drive booted up to the desktop. Instead of a c-prompt, Apple used an idea they acquired from Xerox-PARC: the graphical user interface, or GUI. It was one of the most intuitive operating systems I had ever seen: you used a “mouse” to move the pointer around the screen, and a single button click would select items and a double button click would open them. Genius. I think my favorite aspect of the Macintosh was its word processor MacWrite. It actually let me use different fonts and — joy of joys — italics. The Mac Classic got me through my undergrad years — even with its 9" black-and-white monitor, its 1 MB of RAM, and its 40 MB hard drive. Since it wasn’t networked, my computing was really limited to word processing. However, in the early nineties, I discovered the Internet, via a UNIX account and the World Wide Web. I was given a printout of my account information by a zude over in the computer center, and I was off. By this time, I had traded in my Macintosh Classic for a Macintosh PowerBook 165c, my first laptop. Not only was I now portable, I had a modem that allowed me to use my phone line to connect with the campus Sun Sparc server that hosted my account. I remember my excitement as the modem dialed, hissed and beeped while connecting, then gave me a . . . command prompt. I was back in PC land. It wasn’t until a year or two later that I was able to connect to USF’s modem bank and use my Mac’s GUI for my Internet needs, specifically browsing the World Wide Web with Netscape. My first web site, coded by hand, circa 1995. “The English Site” was a newer incarnation of the above, 1998. Obviously designed for smaller screens. Yet another version of “The English Site”, 1998. My first .com site. My step-mother bought me the domain name. This was also before CMSes: it’s just HTML and CSS, baby! The World Wide Web did for the Internet what the GUI did for computing. Suddenly, not only did users now have the potential to access unlimited data resources, but they could contribute their own ideas that other users could easily access. What began as a small community of university researchers and enthusiasts has grown up to the Web of today: where millions of people make connections, collaborate, seek entertainment, publish their thoughts, and share their lives. For me, the Web was a natural medium for my teaching, so much of how I chose to write digital media centers around my professional life as an educator. I published my first web site in 1995 and the images that accompany this preface give you a sampling of how my designs have matured. Writing Digital Media is an attempt to continue that educational focus: to make writing digital media accessible to users with the help of my experiences growing up with(in) the new digital world. With a focus on promoting technological literacy within an information culture, LitMUSE brings traditional humanistic education into the digital age. “LitMUSE” began its life as a text-based virtual reality, back in the early days of the Internet. In fact, “MUSE” is an acronym that stands for “Multi-User Simulated Environment.” LitMUSE was first and foremost a MOO: an online community of users that interacted in a virtual reality that they constructed through language. Add “Lit” as a double meaning — “literature” and “literacy,” since both are necessary components of an education in English. Put them together, and LitMUSE becomes a community of learners involved in constructing their shared virtual reality. In a crucial way, what the users of LitMUSE did virtually reflects what we as citizens of the world do in reality. LitMUSE, then, becomes a metaphor for what’s important in human community and the liberal arts education. Language and discourse construct how we participate in and construct our realities in relation to our environment and those we share it with. Language is crucial to who we are, and it remains integral to higher education. While the text-based virtual reality no longer exists, its legacy lives on. LitMUSE still reflects community and cultural literacy. 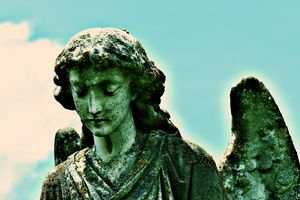 These ideas provide the foundation of a liberal arts education and are even more important in this technology-rich, information-driven, multi-tasking, strangely connected world. 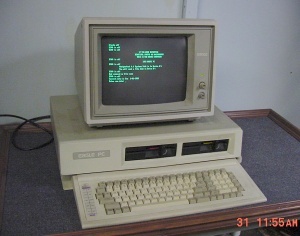 ↑ "Eagle PC II (two floppy model)". DigiBarn Computer Museum. Retrieved 2018-12-11. ↑ This was originally published on Writing Digital Media as a kind of preface, but I decided that I didn’t really want to keep that site. Now it's here. ↑ My teaching site used to be called LitMUSE. It is now part of this site. I include its about page here for nostalgia.